When your body is tired and in need of some rejuvenation, it’s time to relax-on-chair! Are you tired? Tired from body fatigue and aching muscles? Tired from seeing your masseuse expenses pile with little return on investment? Do you just want relief from all your tiresome worrying? It’s time for you to “relax-on-chair” and get yourself a RelaxOnChair MK-IV. Introducing this first-class design with zero gravity technology and shiatsu massage features, that exudes comfort and luxury. 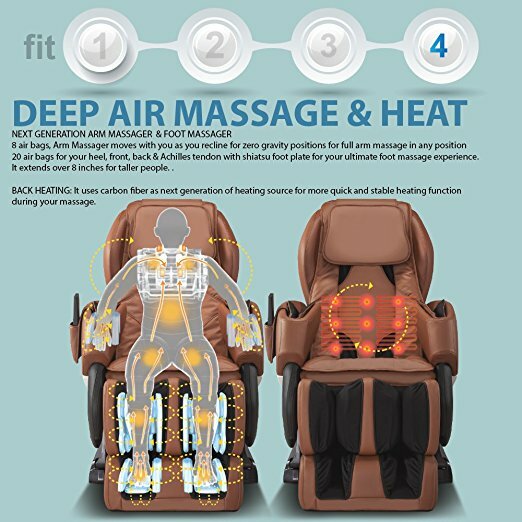 With built-in heating and air massage systems, purchase your RelaxOnChair MK-IV now and experience the benefits of the best possible therapeutic relief for your mind, body and soul. 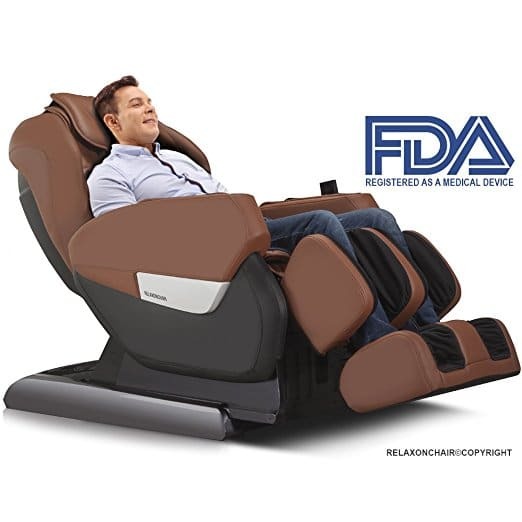 The RelaxOnChair MK-IV Massage Chair is a full featured, zero-gravity massage chair with built in heating that is ideal for deep tissue massage. 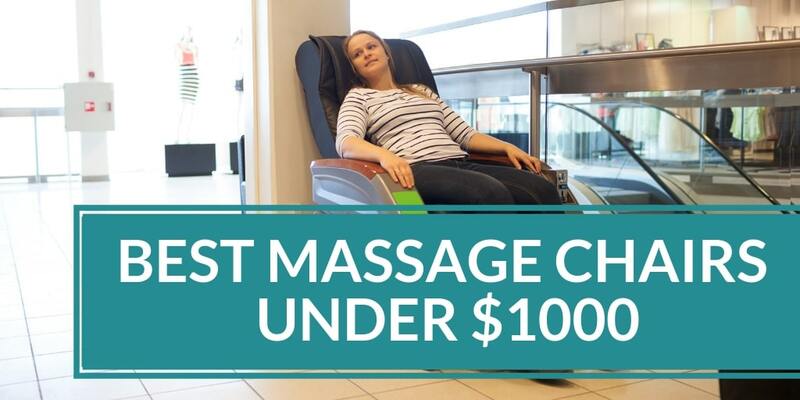 It is a popular choice amongst customers looking for affordability and value for money and is fast becoming a force in the massage chair market. The in-built S/L-track rolling system is vertically integrated and is designed to deliver hand-like massages that make you feel as if your own personal Shiatsu practitioner is in the room with you. 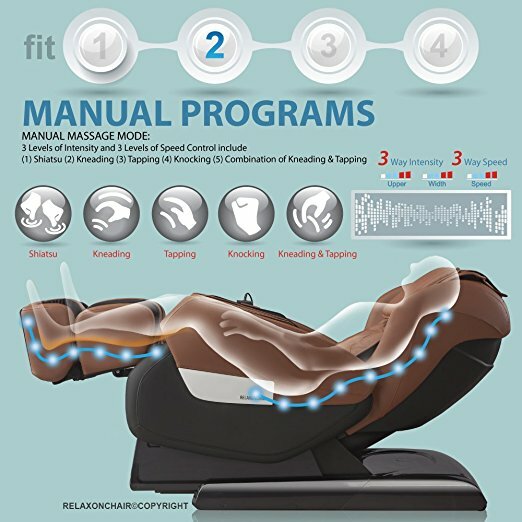 The massage motion works the user’s vertebrae to ensure all stress and strain is relieved, and relaxes the body’s nerves for improved spinal posture. 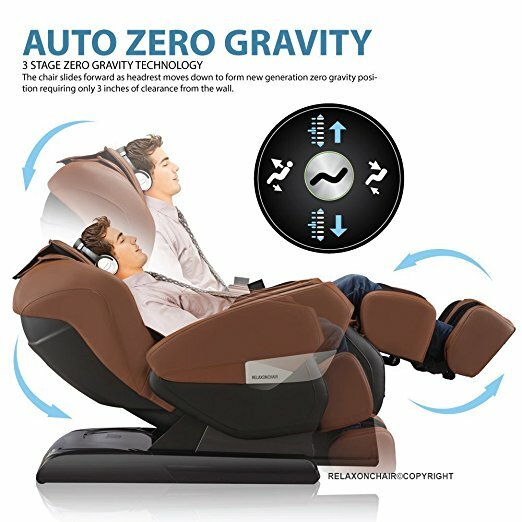 This goes hand-in-hand with the zero-gravity feature, where once fully reclined in zero gravity position, the chair remains just 3 inches from the wall. This ensures that it fits in with your existing furniture, and is not bulky and out of place in your home. 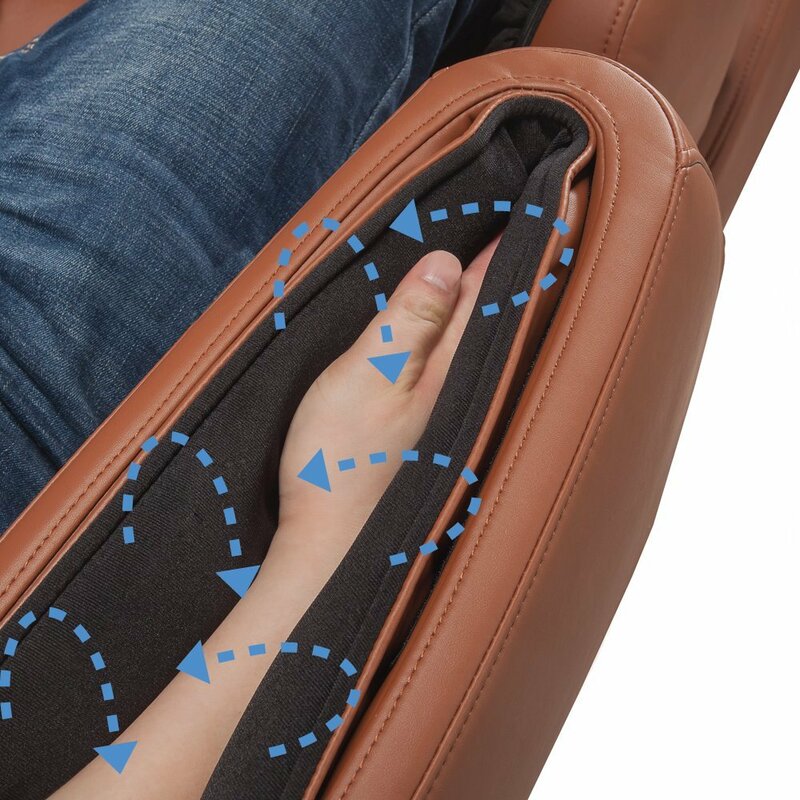 This cutting-edge technique allows the massage chair to scan a user’s body shape to effectively gauge his/her body size. 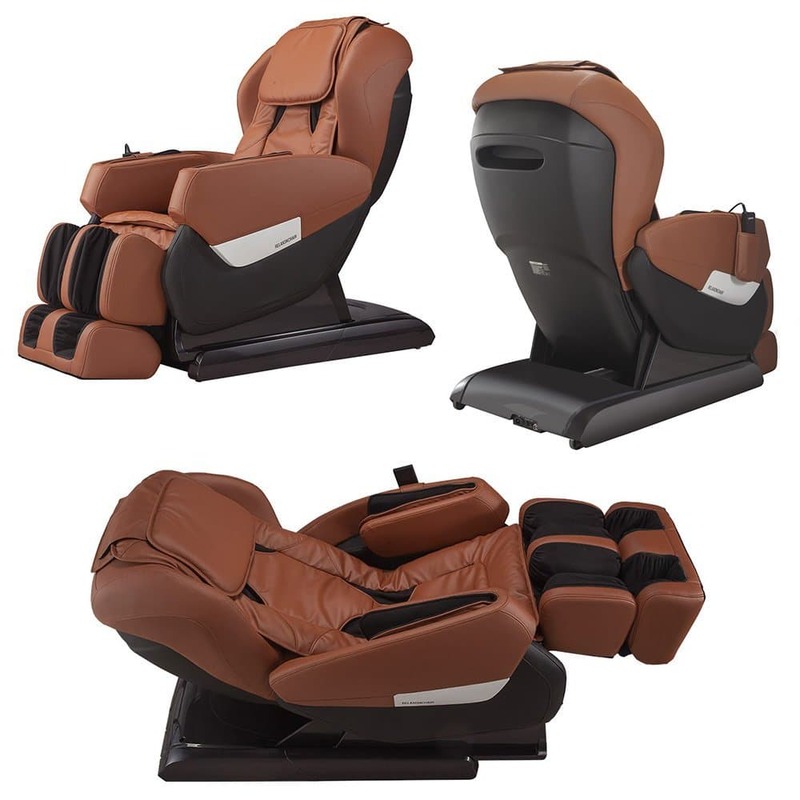 It then adjusts to accommodate this size and offer a personalized, custom body massage for each individual user. Integrated first-class airplane seats with carbon fiber module heating system. Buttock ball massage with S-track technology and a next gen S-shape rail system for greater reach. Registered as a FDA-approved medical device. Lower body massage therapy is a bit weaker than upper body massage therapy as there are no feet rollers. Manual could do to have a bit more detailed in descriptions on massage programs and settings. If you decide that this chair is not for you, there are lots of other choices out there. You can try the Kahuna LM-6800, Osaki OS-4000, BestMassage EC-06C, Real Relax, Medical Breakthrough 4, Human Touch WholeBody 5.1 or Human Touch iJoy-2580. 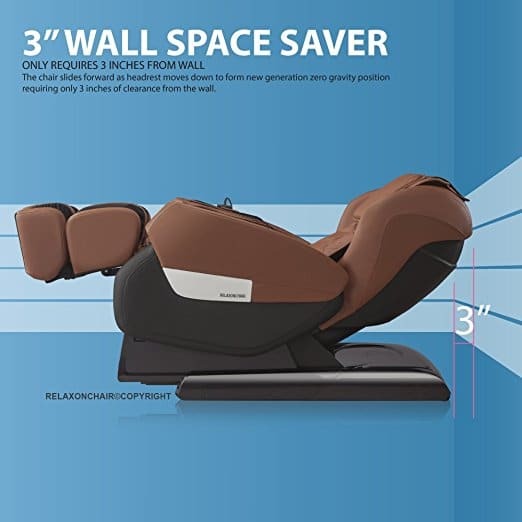 The RelaxOnChair MK-IV is ergonomically optimized and offers five different techniques: kneading, tapping, kneading and tapping combo, knocking and Shiatsu. 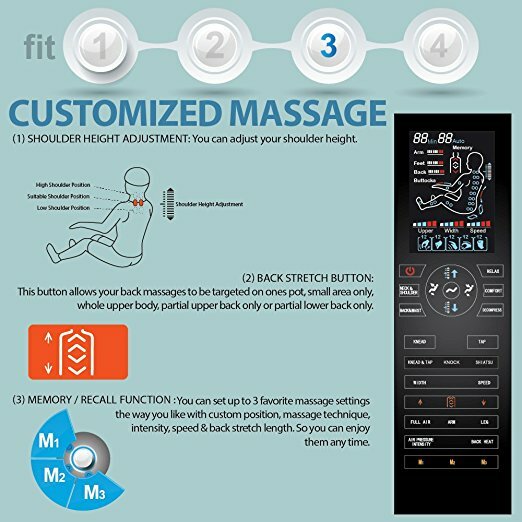 These allow you to experience up to five pre-programmed setting: decompress, relax, comfort, neck and shoulder, and back and waist, right from the heart of your home.